There’s a reason why the SUV class of vehicles has now outsold the sedan class for two years in a row. These vehicles have become more capable, more active, and smaller than in the past. You can now find the right SUV for you to drive on the used car lot of Massey Yardley Chrysler Dodge Jeep Ram Fiat in Plantation, FL. Come in and take a look at the different SUV model offered for the drive you want to be able to enjoy out on the roads in North Lauderdale, FL. 2015 Jeep Grand Cherokee Laredo – This larger and active SUV is one that can handle the driving you need to enjoy and give you the ride you’ve been searching for. Come in and take a look at this impressive used Jeep SUV and make it the right choice for you on the roads in North Lauderdale, FL. You’re going to be amazed by what you find when you’re ready to drive. 2017 Dodge Durango GT – The largest SUV from Dodge is one that brings you quality features, the performance items you want and the ability to handle an excellent drive out on the roads. Check out this amazing model at this Jeep dealer and let it be the SUV you need. You’ll be impressed with the rugged looks and smooth ride around North Lauderdale, FL. 2016 Jeep Wrangler Sahara 4WD – If you’re ready to head out on the trails in your area and have the fun and active enjoyment for outdoors that you’ll want to enjoy, this is the Jeep SUV for you. Take a ride and feel the power and the capability this SUV has to offer you at a reasonable price so that you can have fun on the trails around North Lauderdale, FL. 2014 Jeep Cherokee Sport – If you want a modern look to the Jeep SUV you choose, this can be the right one for you to drive. Take this gorgeous SUV out for a drive and let it become the right model for you to have the ride you’ve been looking for. You’re going to be amazed by the spacious cabin and versatility offered with this vehicle that you’ll drive in North Lauderdale, FL. 2013 Porsche Cayenne GTS AWD – When you want a sports car but also need an SUV, this is one great way to balance both. This used SUV is one that brings you the Porsche features you’re looking for and it’s available at this Jeep dealership today. Come in and take it for a test drive and then take it home with you to North Lauderdale, FL. 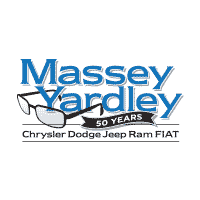 The team at Massey Yardley Chrysler Dodge Jeep Ram Fiat in Plantation, FL is where you’re going to find the SUV that you’ll want for the drive that makes sense for you on the roads around North Lauderdale, FL.